Waves of Blue is shown in blue (what else!) in the photo. 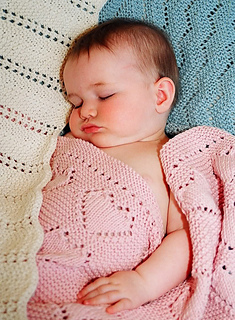 An easy knit lace pattern this blanket can be made in 2 sizes.